from 6:00PM to 8:00PM (cash or check to HVL Civic Club). 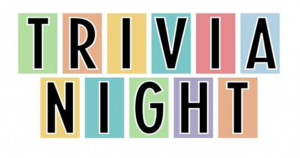 Last Trivia Night was SOLD OUT, so get your tickets early. Hosted by Last Call Trivia!